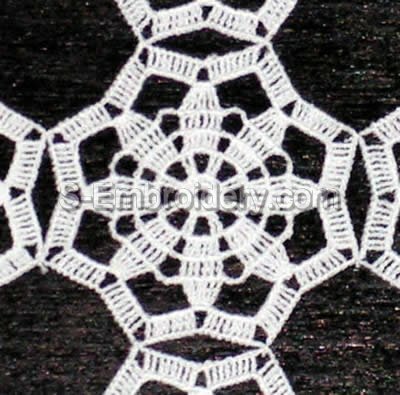 A delicate free standing lace crochet machine embroidery design. 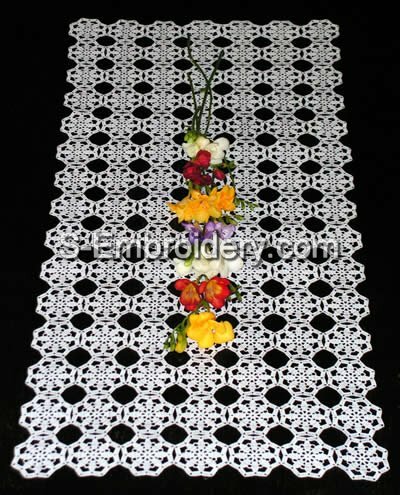 Using it you can create a doily, table runner or table topper with a fine "hand-made" look. 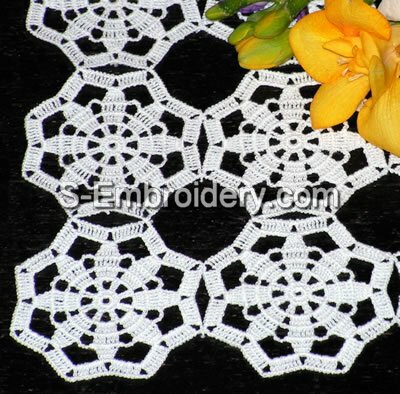 By stitching out the design as many times as needed you can create an embroidery project with a size of your choice. The design will fit in 4x4 hoops.